Another year has come and gone. I hope you were able to make the most of it. Here is a free calendar to help you reach your goals of 2014. We talk about the David and Goliath and other underdogs that found a way win. What do these underdogs have in common? If you are an underdog how can you turn it to your advantage? We talk about a book by Malcom Gladwell: David and Goliath: Underdogs, Misfits, and the Art of Battling Giants. This book sheds a new light of the David and Goliath story. We compare David to Royce Gracie, in the early UFC. We also talk about Nick Newell, the one armed MMA fighter that continues to win fights. And Anthony Robles the champion wrestler who is missing a leg. 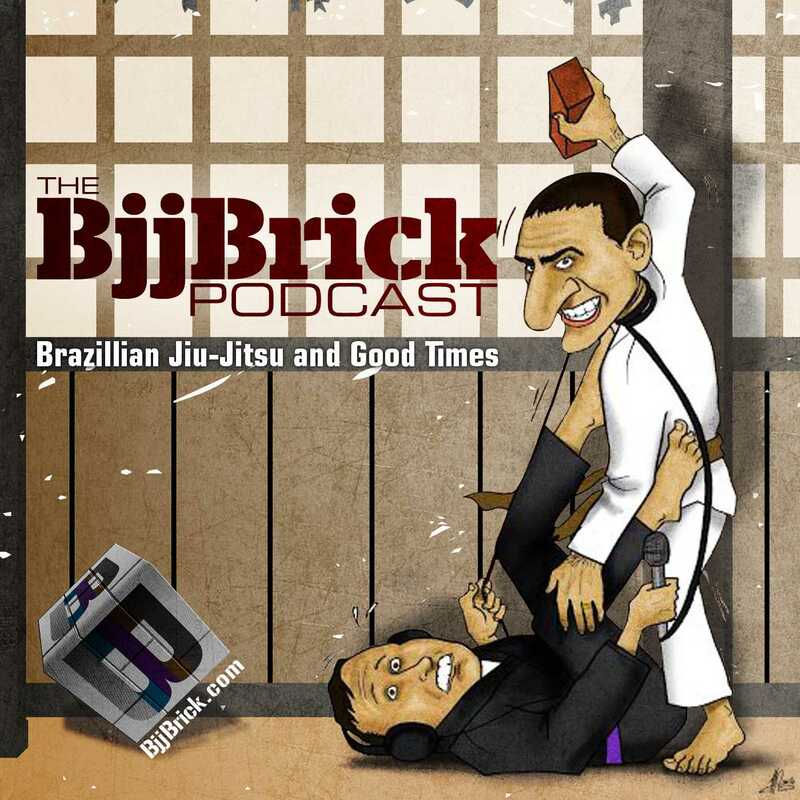 Article of the week: Zombiebjjpa.com “3 Tips for Beginners in Brazilian Jiu-Jitsu”. If you are new to bjj even if you have some experience this article makes some great points. Here is the video Gary sent to Craig. Enjoy! Then send it an unsuspecting friend. Malcom Gladwell’s books: Outliers, Blink, The Tipping Point, What the Dog Saw: And Other Adventures, and David and Goliath. All these books are interesting, my personal favorite is probably Blink. Daniel Coyle- The Talent Code: Greatness Isn’t Born. It’s Grown. Here’s How. Here is my review of this book. Don’t break the chain calendar, 100% free just open it and print it. Just about everyone will need to deal with an injury from time to time this is a contact sport. Today we talk about healing quicker, training with the injury and when to take some time off. It is important to listen to your body, if it hurts it may be trying to tell you something. Craig talks about having problems healing due to cholesterol medicine. Here is an article talking about the side effects of some cholesterol medicine. Gary and Byron both share stores of dealing with rib injuries. Gary recommends keep working out with something, even if it is not BJJ. He takes salmon oil from supplement u. Gary will use a foam roller to help get rid of neck, back, and muscle pain. With some injuries like ribs or back, it will be painful to move so it will be too difficult to roll. If you can’t train, you can study a select move or two intensely. When you return to the mat, you will have some new stuff to work on. We talk briefly about the need to have health insurance to help you financially if you get seriously injured. 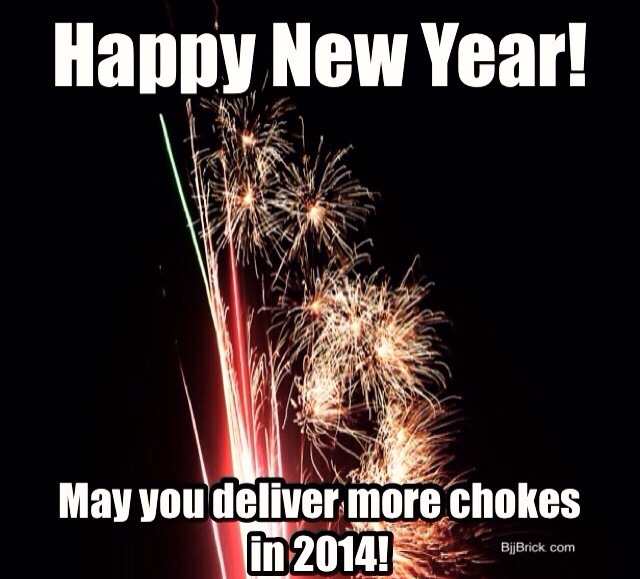 Jiu-Jitsu does not really have an off-season, like many other sports do. Most sports go months when people don’t train much. In BJJ we just keep rolling, often this means that our bodies will not fully heal. Injuries to people in their first year can convince the person that the sport is not for them. If this happens to one of your training partners you should contact them and try to encourage them to get back on the mat once they are better. It is important to help your injured teammates get back on the mat. It is especially important to keep safety in mind when rolling with a new person. A good way to prevent injuries is to leave your ego at the door and get rid of a negative attitude. 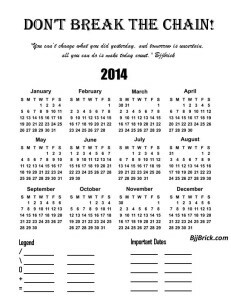 The free don’t break the chain calendar just open it and print it! Today we have a good friend Craig on the show. 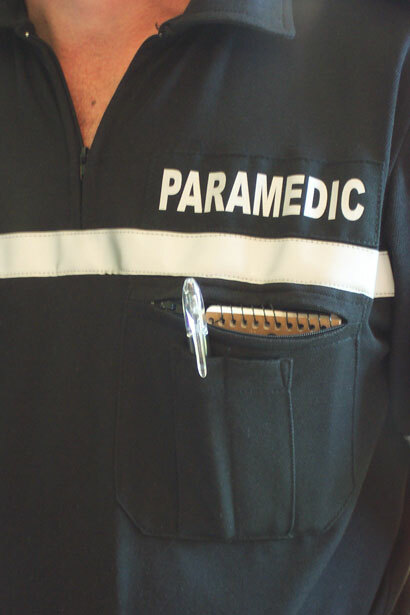 Craig has been in the emergency medical field for over 32 years, he is a paramedic. Craig has been training Jiu-Jitsu for approximately 8 years. He shares some of his knowledge about dealing with injuries that might happen during class. We cover a lot of stuff in this episode! You could find yourself needing to know this information on or off the mat. This episode should help you make the right decisions after an injury happens. What happens to your body if certain bones are broken? How quickly do you need to get stitches? Why it is so important to have good hygiene and a clean gi? Some things that should be in a first aid kid at your gym- 4X4 bandages, band aids, a sling and swath, antiseptic gel, medical gloves, ice packs, aspirin, scissors, safety pins, and tape. Article of the week– A easy way to stay out of trouble in the guard By Stephan Kesting Stephan gives some great tips for avoiding getting attacked if your posture temporarily gets broken. Craig recommends sportsinjuryclinic.net as a great reference. 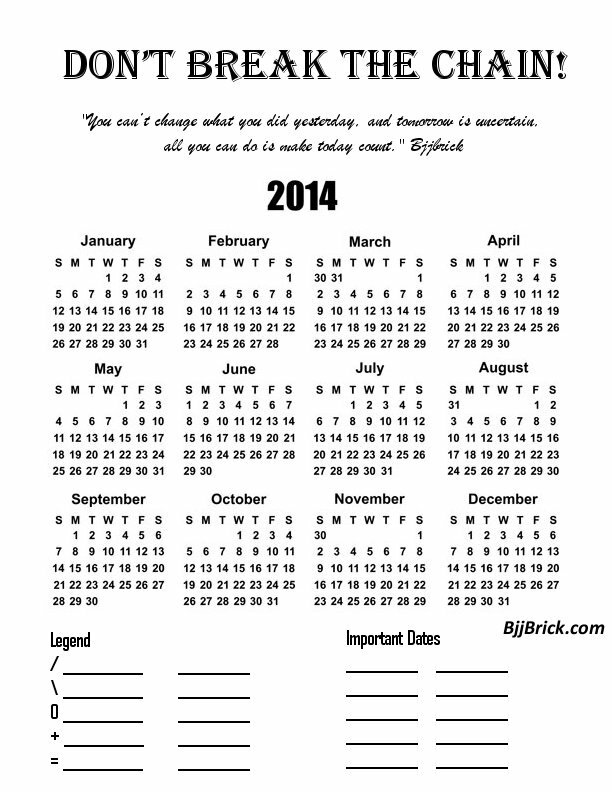 This calendar was left blank to help you reach any goal that you have. 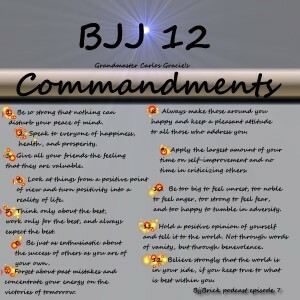 I hope some of you will use it to achieve your goals in BJJ! Fill out the legend with activities that you can do to help you reach your goals. Everyday cross off the date with any of the marks that you did that day. After a few days or weeks it will be painful to skip a day or two. After a month or two these activates will become a habits and you will be doing the things you need to accomplish your goals. I have made two different quotes for the calendar. The calendar will print perfectly on a normal size sheet of paper. Print it off and get to crossing off days and making a chain. 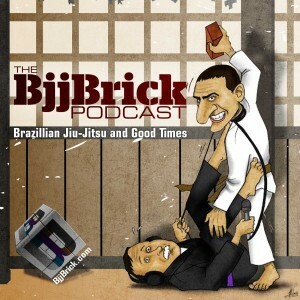 We have a good mix of people talking about gi vs nogi training. 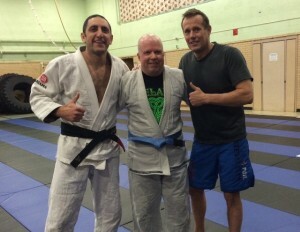 Byron likes both, Gary is a nogi guy, and Matt likes the gi more but the nogi rules. The gi game can be described like a game of 5 vs 5. More technical and slower pace. The no gi game is like a 2 vs 2 basketball game. Fast pace and lot more hustle. We talk about starting out with the gi or without it. You should be rolling any chance you can. With our without the gi. If you are interested in belt promotions you need to be training with the gi. Some of the best grapplers in your gym may be training with the gi. Put a gi on and join them. We break down and discuss the 12 commandments. We don’t always agree with the commands but they have a great overall message. 1. Be so strong that nothing can disturb your peace of mind. 2. Speak to every one of happiness, health, and prosperity. 3. Give all your friends the feeling that they are valuable. 4. Look at things from a positive point of view and turn positivity into a reality of life. 5 Think only about the best, work only or the best, and always expect the best. 6. Be just as enthusiastic about the success of others as you are of your own. 7. Forget about past mistakes and concentrate your energy on the victories of tomorrow. 8. Always make those around you happy and keep a pleasant attitude to all those who address you. 9. Apply the largest amount of your time on self-improvement and no time in criticizing others. 10. Be too big to feel unrest, too noble to feel anger, too strong to feel fear, and too happy to tumble in adversity. 11. Hold a positive opinion of yourself and tell it to the world. Not through words of vanity, but through benevolence. 12. Believe strongly that the world is in your side, if you keep true to what is the best within you. Question from Facebook: We talk about drug testing and Brazilian Jiu-Jitsu. Fox Fitness: Jake Fox joins us again in this episode. Good times at our Facebook page.